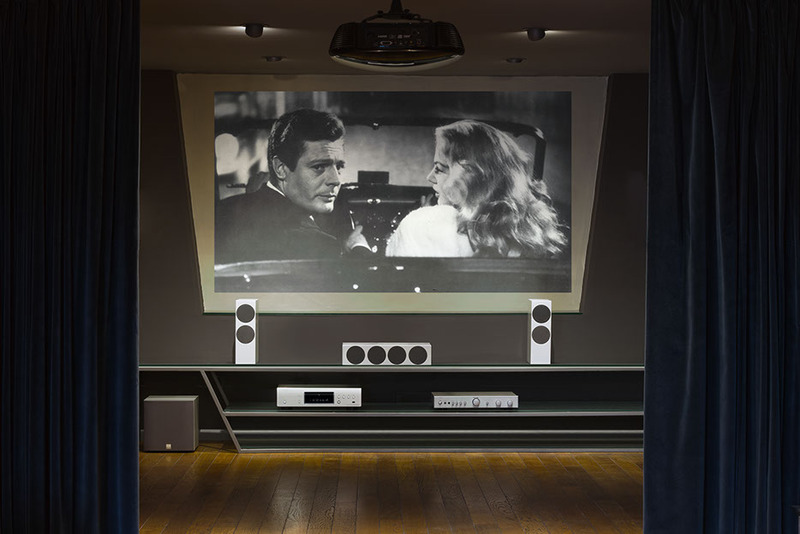 The “home cinema” system entered our homes a lot of years ago giving everybody a multi-channel choice opportunity and being able to give back the typical sensations of the cinema halls. In order to interpret the contemporary life-styles it is necessary that a diffuser has to supply wide services in a small and smart framework. This was the challenge: a challenge to win. Driver state of the art of just 80 mm 3 inches for the entire series extended frequency response. Crossover components Mundorf poin to point cabinet built with 45° cuts extremely solid and polyester finish. Point source perfect timing no phase rotation. All made by hand. The series of MicroDesign Doacoustics is the best you can want from a home theater sound system: proportions contained but sounding great and consistent. The characteristic a “point source” ensures a sound in concentric waves which is crucial for a home theater high level. The involvement is total and the linear response of these speakers make the sound experience of the highest level. The baffle of just 10 cm ensures excellent off-axis dispersion and creates a very realistic sound stage with a “picture” detailed and easily intelligible. In this sense the series MicroDesign is considered the best choice for a home cinema system. Doacoustics It all sound like one!